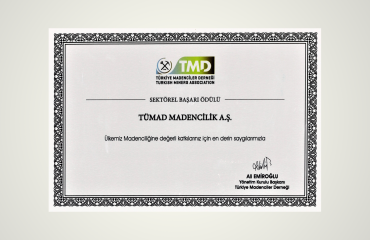 TÜMAD continues to add new awards – Tümad Madencilik A.Ş. The first success story of the new year has come from TÜMAD. At the ceremony held by İstanbul Mineral Exporters’ Association on Thursday, the 3rd of January 2019, TÜMAD was awarded the first prize in ‘Best Foreign Award-Winning Project Financing’ and ‘Technology’ categories. 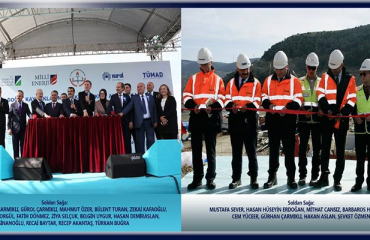 Deputy Minister of Energy and Natural Resources presented the first prize rewards in the two categories to our TÜMAD General Director Hasan YÜCEL. We congratulate them, and wish the entire NUROL Family a year full of success.